The first week on the beginning program show in week one that you work out day 1, 2 and 3. Do you only work out three days per week or do you repeat it during the week and only get one day off? Thanks for your question. Good to see you are starting your running with one of my running programs! These run/walk programs are really a great way to start off your running. 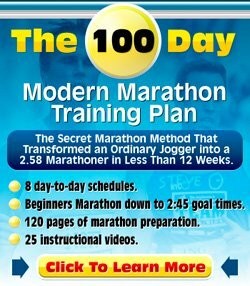 The plan is that you run three days per week. You decide when you do that. It is most natural to run a day, take a day off, run a day etc. But, on purpose, I have not specified that. If I make the schedule too rigorous I run the risk that people stop running earlier. I have seen it time and time again. People start off enthusiastically the first week, find time in their agendas and run three times the first week. Then they start week 2, but on the designated running day they are busy. So they can't run. Over 60% of people give up their running program there and then. Just because they missed a workout on a certain day! It is funny how we people function and how we think, isn't it? Anyway, to try to prevent that from happening I do not point out which days of the week you run, neither how much rest days you need between the runs. It's fully flexible, as long as you run three days a week. Hope you like your running program and I hope it is the beginning of a "new", happier, healthier life for you!